ASRock, better known for its budget motherboard options has recently announced the latest in its Phantom Gaming series – the Phantom Gaming X Radeon RX590 8G OC. Entering the already congested graphic card OEMs late in the game, ASRock first introduced its Phantom Gaming series of AMD-based cards earlier this year. The Phantom Gaming X Radeon RX590 8G OC leverages on AMD’s latest Radeon RX 590 GPU which uses the FinFET 12 process technology. The card comes with 8GB of 256-bit GDDR5 memory and has dual DisplayPort 1.4 connectors, two HDMI 2.0b outputs, and a Dual-link DVI-D connector, supporting up to 5 monitors. Of course, ASRock has also styled this model in ts signature Phantom Gaming visuals to pair well with its Z390 Phantom Gaming motherboards. ASRock currently is holding a Radeon graphics cards promotion with AMD which runs from November 15th, 2018 to February 9th, 2019. 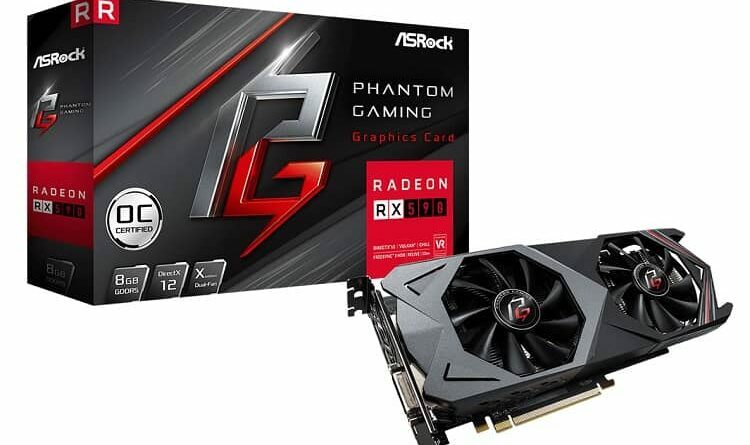 If you buy the ASRock Phantom Gaming X Radeon RX590 OC graphics cards you’ll get three FREE games; Tom Clancy’s The Division 2, Resident Evil 2, and Devil May Cry 5. To date, ASRock cards have shipped worldwide except for Europe, where AMD has allegedly banned it from entering. Rumours indicate that this may be a move to keep ASRock graphics cards form key territories, although neither has come forward to explain the bizarre circumstance. At the moment, the ban is supposedly inclusive of all of ASRock’s Phantom range including the RX 550, 560, 570, and RX 580 cards.